I've been back from Ireland a few days now, but have been super-busy since coming home. I had a fabulous time with Claire from French For Cupcake, who is just as lovely in real life as on her blog. We went shopping in Belfast, took a bus into Dublin, ate a lot of beautiful food, baked and generally had a right laugh. We even use the same red hair dye, we're so silly. Pecan Pie at the lovely Avoka in Belfast - beautiful things to buy, and delicious cake. I could have lived there. 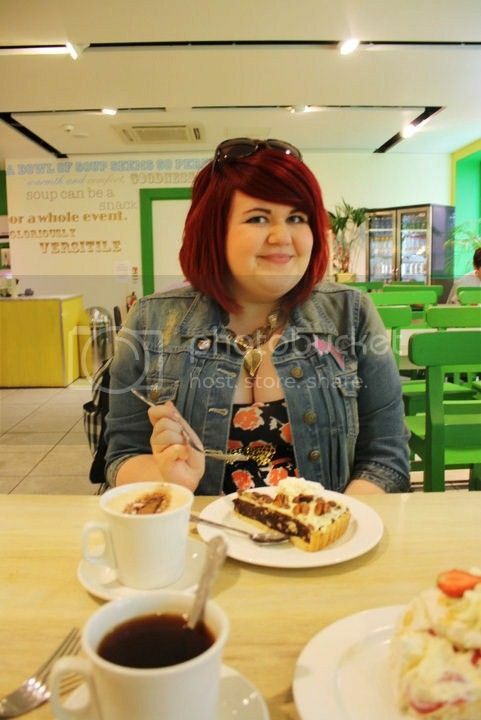 I've also got to give a shout out to blogger/photographer and Claire's best-friend Sarah Kane, whose blog I really adore. We were supposed to be hanging out too, but unfortunately she's very ill lately so we were unable to get together. I hope you feel better soon, my darling. Click for Sarah's blog, website and flickr - her photographs are seriously amazing! Thank you so much again for letting me invade your bedroom, borrow your clothes and use up your hairspray - you're welcome in Geordieland whenever you'd like! There's still plenty left though, and I'll be adding some more this week so please consider following for updates. I'll be back to normal soon, I have lots of lovely posts planned for this week. grania: Aww cheers! 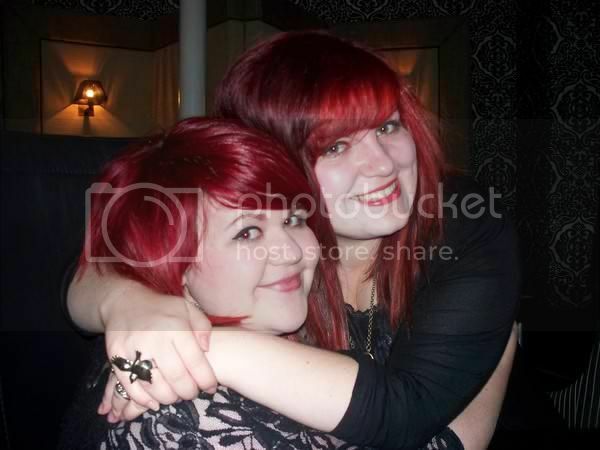 It's so funny, we have the same haircolour, and we're the same body shape so we look like sisters hehe. I LOVE your friend's ring (in that first pic) - do you happen to know where it's from? hmm that pecan pie looks lush! looks like you had a fab time, claire is so lovely. Oh Carla, you gorgeous redheaded gem, you! Thank you for such a lovely little segment. Am working on my links list right now - sticking you in there of course! Thank you for the nice words about me & the links, you're ever so nice. I am so sad I didn't get to see you (as I said on your FB a few hrs ago), but I see plenty of Carla-Sarah-Claire in the future (CSC? Let's audition for the X-Factor as a band, right?). Really gutted, but we're just pushing the excitement a little further. Claire has raved about the wonderful time you gals had, so I'll throw in some ideas. Plus, we are totally up for a Geordie trip, you know, get back to my paternal roots & all!